Behind the Scenes of "The Doctors" | East Coast Orthotic & Prosthetic Corp.
East Coast O & P's Christopher Berger, C.P.O., joined by patient and quadruple amputee Shannon Smith, her mother Roxanne, and her son Oliver on the Hollywood set of "The Doctors", with hosts: Dr. Drew Ordon, Dr. Travis Storek, and Dr. Lisa Masterson. 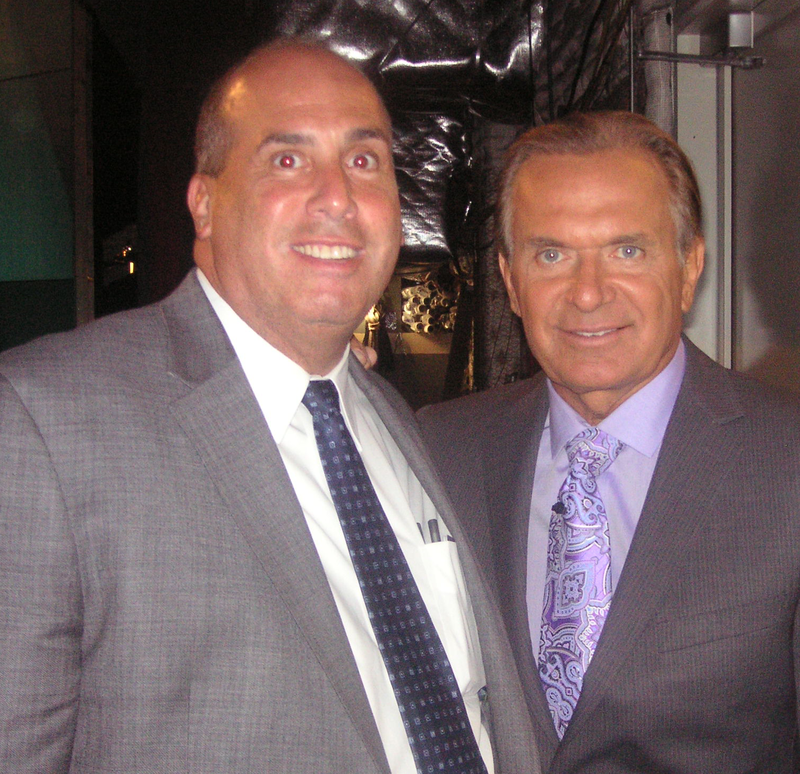 East Coast O & P President Lawrence J. Benenati (left) being greeted on the set of "The Doctors", the popular prestigious national network television show, by Dr. Drew Ordon (right). On Thursday, September 13th, East Coast Orthotic & Prosthetic Corp. Clinical Director Christopher Berger, CPO and patient Shannon Smith appeared on the nationally syndicated program, “The Doctors.” It was a great segment which discussed Shannon Smith’s now well-known story of having sepsis and eventually becoming a quadruple amputee. Christopher Berger explained her prosthetics to Dr. Travis Storek., while Dr. Storek explained sepsis and what happened medically to Shannon to viewers. While not displayed on-air, East Coast Orthotic & Prosthetic Corp. President Lawrence J. Benenati was in attendance for the filming in Los Angeles, California. He met the prestigious cast of doctors who host the show, including Dr. Drew Ordon, Dr. Travis Storek, and Dr. Lisa Masterson. Below are some behind-the-scenes photos from the episode. 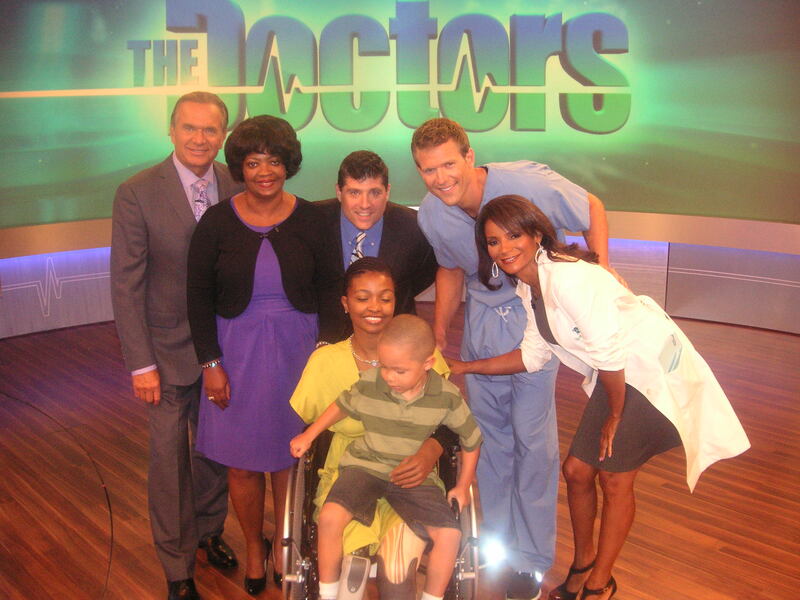 In case you missed our segment on “The Doctors,” click here to view it. To learn more about Shannon Smith’s story and to donate to her medical fund, please visit her website here.